﻿ Termite Inspection Request – Heartland Pest Control Inc. Whether you have a termite problem or just want your home inspected for termites, let Heartland Pest Control assess your home and help implement solutions to resolve potential termite issues. 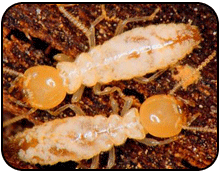 Termite Inspections are $40.00 within Wichita city limits and surrounding suburbs. Inspections outside of surrounding suburbs will be quoted on a per location basis.